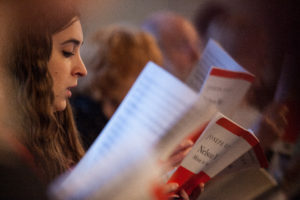 Please join our mailing list so that we can let you know about our choir’s concerts and events. The RFMS is committed to the privacy of its members and supporters. We will never give your data to third parties. We will only use supporters’ data to share information about our events and activities. Every email we send supporters will include an option to easily opt-out of future emails. You can also opt-out at any point by contacting us on info@royalfreemusicsociety.org.uk. You can ask, at any time, to view, update or correct any data we hold on you, and also to request that we stop using or erase your data. Full details of your rights can be found in our full Privacy Notice (available on request).